Sometimes, I have a really busy week and don’t get onto Twitter that often, if at all. This makes me feel a little guilty because I have neglected my Twitter friends. However, because #FF has become such a tradition, I NEVER miss it. This gives me an opportunity to let my followers and followees know that I am thinking about them even though I haven’t participated with them on Twitter for a few days. Another reason that I love Follow Fridays on Twitter is that the people that I follow and who follow me have some really interesting things to share and I really do want others to follow them so that others can enjoy the same benefits and interactions that I enjoy. 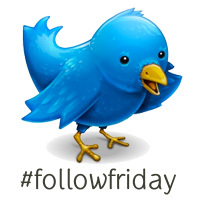 Finally, I love Follow Fridays most of all, because, instead of seeing the hashtag clutter, I see other potential interesting people to follow. If someone that I enjoy following is suggesting that I follow these other Tweeters, I want to check them out to find out if I too would enjoy following them. In this way, I have connected with even more interesting and wonderful people on Twitter. So, if you are annoyed by all of the Follow Friday hashtags on Twitter, or if you are wondering what it is all about, check them out. Follow some new people and suggest great people for others to follow. Join the community spirit and find out what Twitter is really all about!